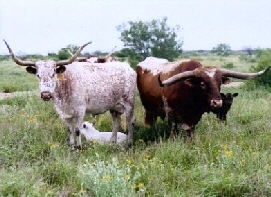 Helping ranch owners professionally manage ranches for wildlife, cattle or hunting. Welcome to the web-site for Bill Walker. Whether your ranch is 100 acres or 1,000,000 acres, this is where you can get the information you need to manage your ranch, wildlife, cattle or habitat resources like a professional without the cost of an on-site expert. Bill Walker is a licensed real estate broker specializing in South Texas Ranches. A lifelong Texas rancher, Walker has over 35 years experience in ranch management and 20 years managing ranches for major landowners in Texas from 2,000 to 150,000 acres. Walker has the information and experience you need to help you achieve positive results with management practices for cattle, whitetail deer, dove, quail and other wildlife. If fishing is part of your ranch, Walker offers extensive experience in pond management and improving fish habitat. Walker can save you money and time and help you make informed decisions that will help you get it right the first time.